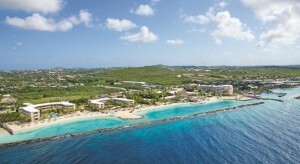 Choosing between the best all inclusive resorts in the Dutch-Caribbean is not an easy task. From Aruba, Curaçao and Bonaire to the tropical paradise island of St. Maarten, a seemingly endless range of world-class all-inclusive resorts find themselves in the Dutch Caribbean accompanied by a fascinating culture and many enticing beaches. That being said, it will be almost impossible to leave these incredible travel destinations. Here are 7 of the absolute best all inclusive resorts in the Dutch Caribbean. Sonesta Ocean Point is one of the most recent and sleekest and certainly one of the best all inclusive resorts in the Dutch Caribbean. Located in Sint Maarten, part of the Kingdom of the Netherlands, it boasts an incredible location which allows guests to enjoy stunning vistas of the ocean and a magnificent pool view directly from every room. The cliff-side infinity pool, in particular, will feed wanderlust for nature and adventure as it sits majestically overlooking Maho Bay. Another highlight of the Sonesta Ocean Point Resort is an outdoor restaurant which never fails to exceed even the highest expectation as it not only serves incredible food but the enchanting ambiance here will most certainly help you switch into a vacation mood. A Spa and massages are available for those who want to ease their mind and enjoy their stay away from the city. 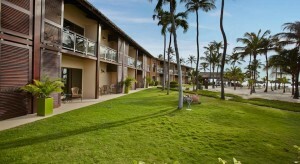 The Sonesta Ocean Point Resort is also an excellent choice for those who love outdoor activities as it features many opportunities to be active including tennis courts and the ocean nearby for snorkeling. Although maybe this is a little more active than you would like and in any such case, the resort is conveniently located next to a golf course and world-class Casino. And then there are the many day trips you can organize from the Sonesta tour desk which offers adventures to all the best parts of Maho Reef. However, the absolute best thing that makes the Sonesta Ocean Point Resort one of the best all inclusive resorts in the Dutch Caribbean is how the multinational staff and crew take pride in catering to international customers with every possible language. Located less than one kilometer from Princess Juliana International Airport, the Sonesta Ocean Point Resort is not only the ultimate resort for relaxation, but it is also positioned to ensure the minimal amount of travel time for your next vacation in the Dutch Caribbean. 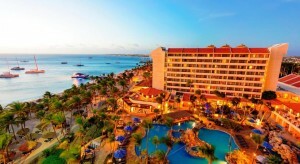 The Barceló Aruba is a 373-guestroom resort with seven restaurants, six bars and access to almost every water sport you can imagine on Palm Beach. Offering 24-hour gym services, a spa, and kids’ club, the Barceló is a well-rounded beach resort alike which is particularly good at catering for a family vacation given the excellent options for children. Yes, that’s right; Barceló staff is already waiting to take care of the little ones so that you can also enjoy your vacation to the fullest. 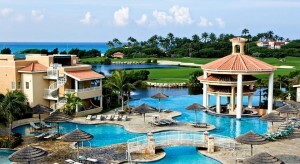 For anyone who seeks a quick escape from the city, Barceló is possibly the serenity for which you have been searching. The lobby lounge in this resort is equipped with a piano and pool tables to use at your leisure while the surrounding nature offers a sincere tranquility you won’t want to leave anytime soon. “Value for money” is often the excellent feedback the Barceló receives regarding online reviews and again, this is primarily due to the friendly and most accommodating staff. Another attraction that stands out, as with many all inclusive resorts in the Dutch Caribbean, is the mouth-watering food and service in the many on-site restaurants. World-class chefs are clearly the driving force for this experience, but none of it would be possible without the Aruban seafood which can compete with the very best in the world. Immaculately maintained, bright, spacious and with staff extending a sincerely warm welcome, the Barceló Aruba promises a memorable experience with the bonus of marveling at sunrise and sunsets for your ocean view room. The Sunscape Curacao Resort, Spa, and Casino offer a huge number of unique services to their guests, and they cater for all ages. It has 340 rooms and many facilities intended for teens or kids which allow the parents to enjoy their free time in the spa, casino, and restaurants without worrying about their little ones. Located just a twenty-minute drive from Curacao International Airport also guarantees it is another all inclusive resort in the Dutch Caribbean which requires a minimal amount of travel time. There is simply no space for boredom in this paradise either, and many engaging activities present themselves here including an incredible on-site sauna and massage services to the convenience of a free shuttle into town. There are also a lot of options regarding bars, restaurants, and nightclubs in town making it easy for you to venture out and explore the local nightlife. For anyone wanting a good night sleep, this is also the place to be as the rooms are silent, clean and luxurious, not to mention they are surrounded by beauty in all directions. Rising from the horizon every morning, you can catch a beautiful sunrise from the comfort of the room and start your day with a pleasant stroll through the gardens outside. And you wanted variety? Sunscape is also home to no less than six world class gourmet restaurants including four à la carte, a buffet and a café with wonderfully light meals to enjoy in the afternoon. As with many of these all inclusive resorts in the Dutch Caribbean, Sunscape Curacao Resort promises a vacation amongst friendly staff and ample opportunity for pure relaxation. 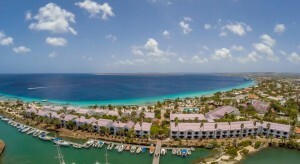 The Plaza Beach Resort Bonaire is considered a paradise and heaven on Earth for divers and ocean lovers as they take pride in their amazing diving venues and dive shops. They also offer complimentary water sports and an exciting beachfront that will surely entice your wanderlust to divulge in the white sand and blue beaches. It is also very accessible with it being a mere five-minute drive from the airport and downtown Kralendijk. A unique selling point of the Plaza Beach Resort is the Seaquarium which enables guests to encounter marine life and enjoy a truly interactive experience. There is a very soothing ambiance on-site in the Seaquarium, and the overall experience is a great way to re-charge a weary soul. Professional staff and crew are trained to have a positive vibe and ensure that their guests will enjoy an excellent stay. This makes Plaza Beach Resort stand out from the rest of the other all inclusive resorts in the Dutch Caribbean, as they make it their mission to make their guests’ vacation an unforgettable one. Food is also a feature which makes the Plaza Beach Resort a star in the hearts of their guests as the food is always freshly prepared and served by friendly attendants. Ticking almost every box, the Plaza Beach Resort Bonaire aims to provide you the best Caribbean vacation possible and seeks to ensure that every guest will at the very least consider returning for another similar experience. This hugely posh and high-class resort offers superior status as it takes pride in its extensive grounds and a very quiet location which is also home to three infinity pools, four restaurants, and a golf course. Families can enjoy having a great bonding experience in this resort since there are many activities intended for all family members. The Santa Barbara Beach and Golf Resort is also located in the heart of Curaçao and promises not just an enjoyable vacation but also one packed with adventure. It’s a nirvana-like playground for all golf players and a romantic getaway for those who are seeking for an intimate escape. This vast expanse is all for you to enjoy and own on a temporary basis. A walk on the beach while waiting for the sunset is undoubtedly something that can feed the yearnings of a romantic heart, and after a day in the water or the golf course, you can have a full body massage. How do you finish off a day like this? In a restaurant, of course, there are four restaurants in Santa Barbara where you can choose between some incredible cuisine from gourmet seafood to decadent and irresistible burgers. Santa Barbara also features many special events and night activities for their guests, and these are the perfect prelude to the grand beds in every room and the fresh evening breeze as it passes your balcony in the evening. Yoga and breakfast are two of the most outstanding ways to start any day in Aruba. Fortunately, these two are both offered at the Manchebo Beach Resort and Spa as an extra bonus to an already impressive location with a blindingly white sandy beach to accompany the sublime swimming pool and spotless rooms. This resort in the Dutch Caribbean is simply the best when it comes to pampering their guests as they offer one of the most highly rated spa services in the world. Delightful in every way, the spa offers a full body massage beneath coconut trees with nothing but the sound of oncoming waves and birds chirping from the trees. Guests can also rent a car to tour this magnificent island and explore the genuine natural attraction in Aruba – the local environment. Although the Manchebo Beach Resort itself is the true highlight as it offers a decent space with everything from beach huts, swimming pool and beach areas. Focusing on serenity and simplicity, the Manchebo Beach Resort also provides total relaxation to guests accompanied by an intimate and tranquil ambiance. Once more, the Manchebo is a resort which proudly boasts a high number of return visitors. Many online reviews will testify to this claim as once they experience this wonderland; guests will never choose anywhere else for a vacation in the Dutch Caribbean. Everyone’s longing for a sweet escape where one can feel the crystals and white sand below their feet, dance with the ocean waves and embrace the warmness of the sun. The Divi Village Golf and Beach Resort is the best place for everyone to experience everything that a hungry soul is yearning. It features an infinity edge pool and a properly maintained beach front. It offers high-class bedrooms and golf villas strategically located near the pool area and private balconies which also allows a garden view. This paradise delivers comfort right in front of your room accommodation as they also have spa and salon services. 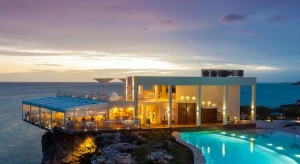 One can also enjoy the freeform pool and a swim-up bar which is located right next to an infinity grill. They also have training facilities for those who are willing to learn golf while those who already experts in the game can enjoy the 9-hole golf course. The Divi Village Golf & Beach Resort has an exclusive clubhouse that offers two gourmet restaurants, a Golf Café and a Bar and Restaurant. Snorkeling and diving activities are available to those who love water activities and want to explore the whole island. The Divi Village Golf & Beach Resort is the best place to choose as it provides high-class services to its guests and its management vows to give you a vacation of a lifetime. It may not be an easy task to choose between the best all inclusive resorts in the Dutch Caribbean, but as you can see above, almost every experience will be as memorable, albeit slightly different, to the next. Affordable and infused with value, you cannot go wrong with a vacation in Aruba, Curaçao, Bonaire or St. Maarten and should you choose any of these resorts, you can be sure this holiday will not only meet but exceed your expectations.